This Common Nighthawk photo below was taken by Ray Weiner. Did you know? 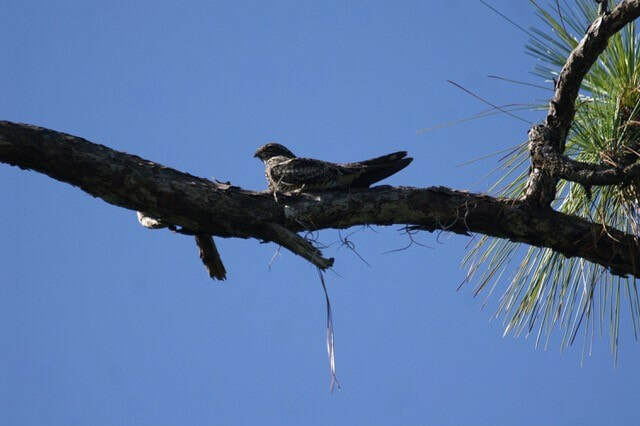 The Common Nighthawk is a common summer resident throughout Florida. This species is most active during the early daylight hours and in the late afternoon, flying an erratic path over fields and pastures as it searches for insects. During the midday hours this bird usually rests on horizontal tree limbs, fences, and utility wires. Nighthawks breed as far north as the Yukon and as far south as Panama; they migrate to and winter in South America from northern Argentina northward.